Broseley fires have expanded their range of cast iron stoves. Broseley Fires Limited are a well established company, renowned for high quality and safety. Broseley have learned to move with times and have the ability to partner modern technological advancements with the traditional skills required in the cast iron stove manufacturing process. 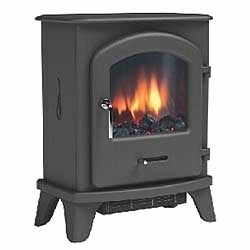 Broseley have all the tools necessary to research, develop and construct high quality stoves time and time again and never fail to deliver the best product possible time and time again. Most recently Broseley Fires have released 3 stunning additions to their comprehensive range, 2 of which are balanced flue versions of already highly successful stoves, the Canterbury stove and the Lincoln stove. Broseley fires have also introduced an electric version of the supremely desirable Serrano 3 cast iron stove. 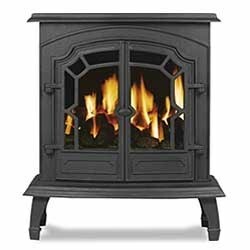 The appearance of these stoves alters only slightly to the multi fuel and or conventional flue models, the main reason for expanding the already successful range of stoves is so that homes without a class 1 chimney or class 2 prefabricated flue can have access to such outstanding cast iron products.